The 2018 edition of Innotrans, the showcase for the worldwide railway industry that is celebrated biennial in the city of Berlin, was closed on September 21st. 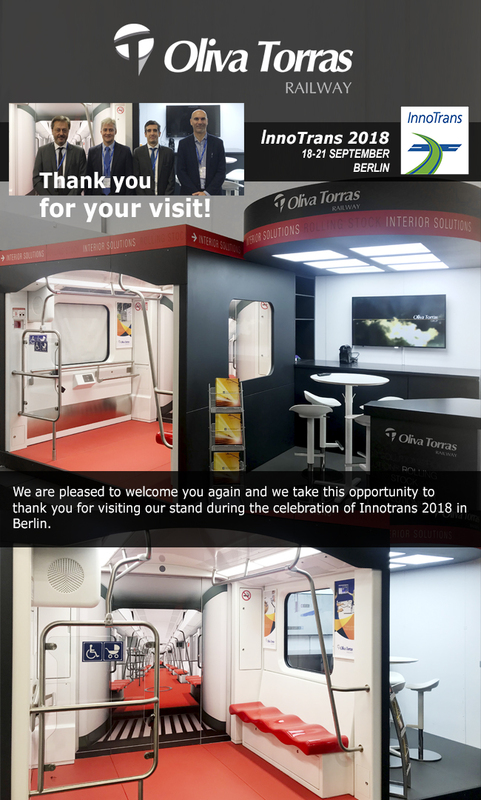 During the four days of the event we could show the capacity of Oliva Torras Railway to offer an integral solution in the development and manufacture of railway interior design projects. Innotrans 2018 brought together more than 3000 exhibitors and 150,000 visitors from 149 countries. To everyone who visited us, thank you very much.